Browse: Home / Basketball / Drew and Ryan explore the ESPN studios on Hey Kentucky! Drew and Ryan explore the ESPN studios on Hey Kentucky! 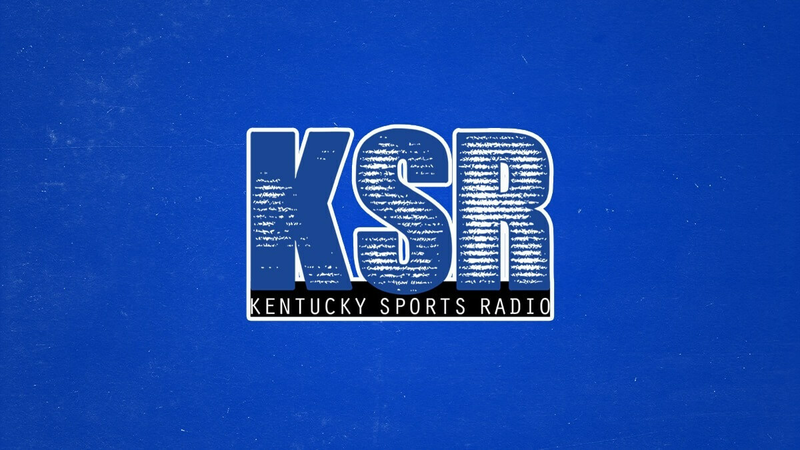 While cruising up to New York City in the legendary Van Issel, the KSR and Hey Kentucky! crew took a pit stop in Bristol, Connecticut to explore the ESPN studios. Drew Franklin is a regular on the television show, but while Matt Jones was co-hosting his weekly ESPN NFL radio show, Hey Kentucky! needed someone to fill his spot for the day. Coming out of retirement from his broadcasting career at LEX18, Ryan Lemond came in to pinch hit for the day. During his appearance, Drew and Ryan roamed the ESPN halls to find Stephen A. Smith’s office, say hi to Randy Moss, and make fun of Louisville. Ryan Lemond back in the television studio for weekly spots on Hey Kentucky?